Bio-dome ... recreating a tropical forest. Meraas, a Dubai-based holding company, has announced the launch of The Green Planet in Dubai, the first bio-dome in the region that recreates the enchanting world of a tropical forest with its rich biodiversity of over 3,000 plants and animals. A majestic green canopy will cover the lush tropical vegetation within the building. 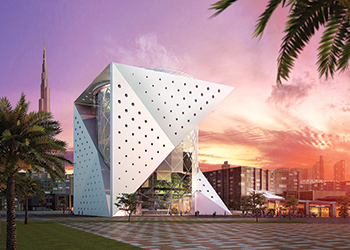 The bio-dome, located at City Walk, will seamlessly integrate exhibitions and displays that encourage visitors to explore the inner workings of the ecosystem. The building, scheduled to open in the first half of this year, also includes a giant 25-m tree, which is the largest indoor man-made and life-sustaining tree in the world. The Green Planet’s building has received the global Leed (Leadership in Energy and Environmental Design) certification and is fully compliant with the Dubai Municipality’s green building regulations and specifications. Meanwhile, Meraas has announced plans to set up Valiant Clinic at City Walk, its first healthcare and wellness project, under the management of US-based Houston Methodist Global Health Care Services. Developed and owned by the company as part of its newly established healthcare division, the outpatient clinic will offer comprehensive diagnostic and wellness services with a focus on preventive care. Spread across 15,000 sq m, Valiant Clinic will incorporate state-of-the-art technology allowing integration across platforms such as wearable technology and mobile applications, said the international subsidiary of renowned Houston Methodist Hospital in the US. The clinic is scheduled to open this year.